4k00:09Singapore City, Singapore - February 11, 2017: Sunrise Time lapse of Supertree grove in Gardens by the Bay in Singapore under colorful sky. 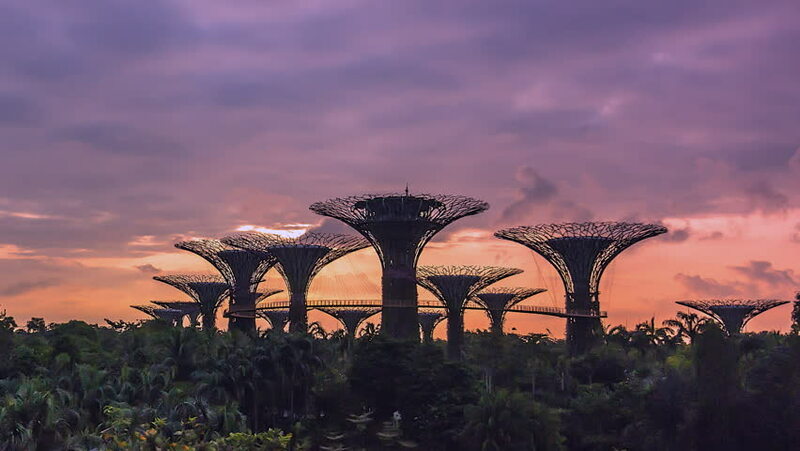 4k00:056 December 2015, Singapore : Golden Sunrise over Gardens by The Bay, Singapore. 4k Resolution. hd00:22Singapore, Singapore / Singapore - 03 23 2018: Aerial illustration of the skyline of Singapore's with Gardens by the Bay complex. 4k00:16Wooden jetty floating in water by the beach during a beautiful sunset with a tranquility mood. Time lapse. Pan Down Motion Timelapse.